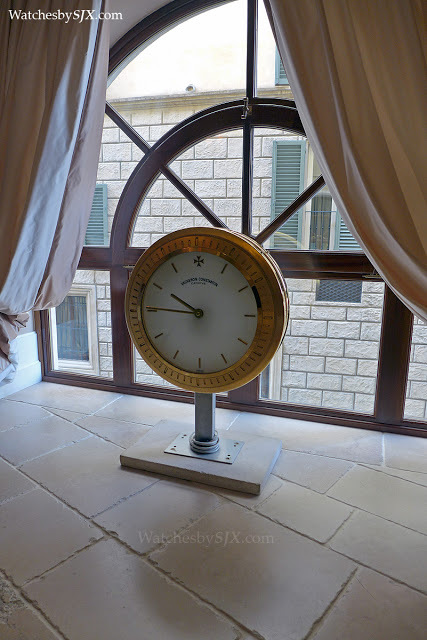 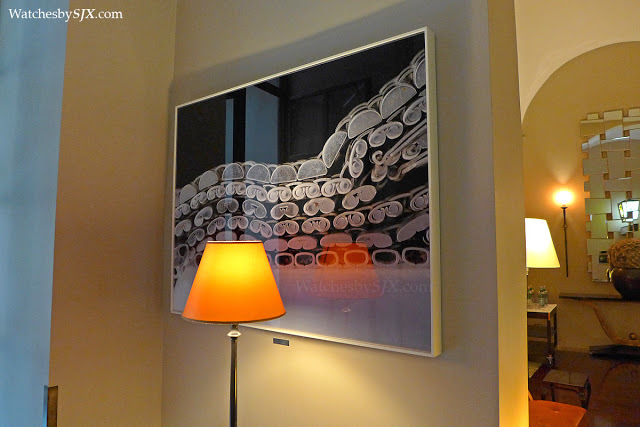 Owned by a Italian businessman Sandro Fratini, the Hotel L'Orologio is a boutique hotel in Florence, Italy. 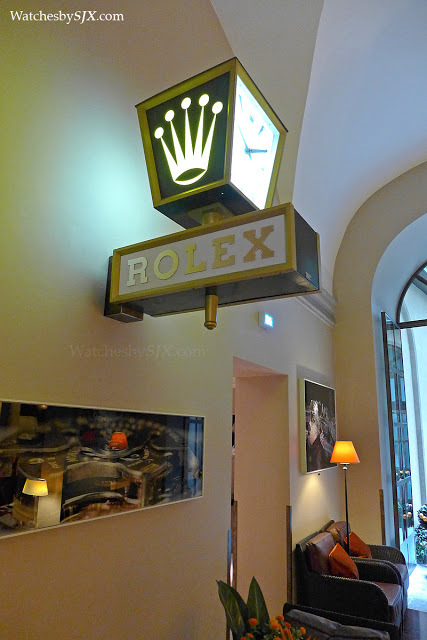 Inspired by watch collecting, with horological objects scattered throughout the hotel, especially of the owner's three favourite brands, Patek Philippe, Rolex and Vacheron Constantin. 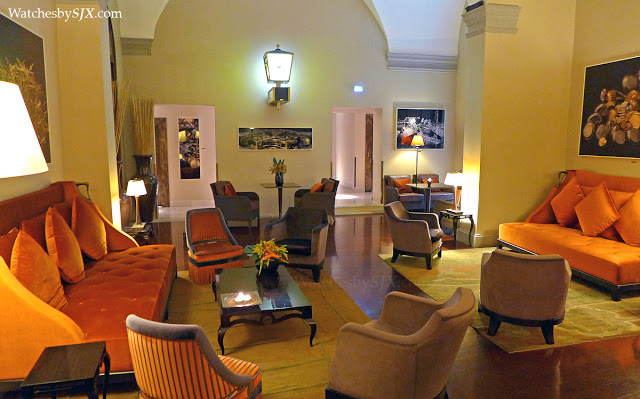 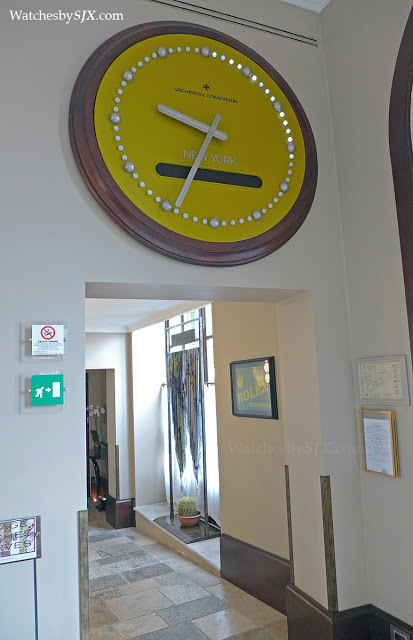 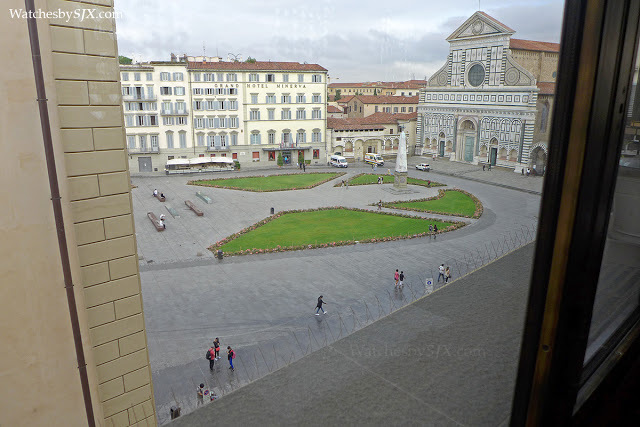 Sitting just across from the Basilica of Santa Maria Novella and a stone’s throw from the main railway station of Florence, the Hotel L’Orologio is a luxe, boutique hotel owned by Sandro Fratini, a businessman whose forebears founded Italian clothing company Rifle, best known for its jeans. 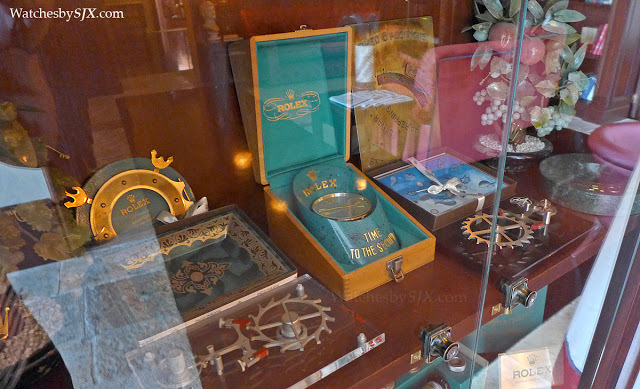 His passion is watch collecting, and the Hotel L’O’ is an embodiment of that. 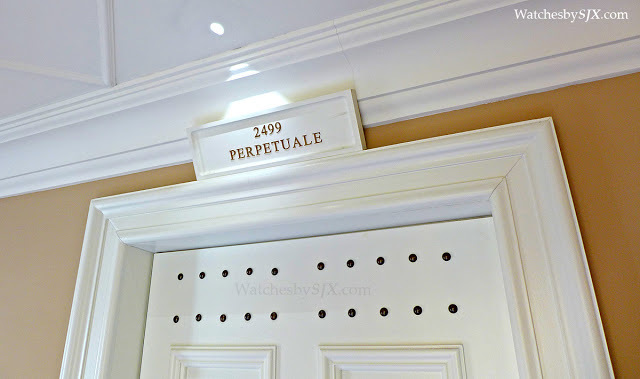 Specifically, the Hotel L’Orologio is a reflection of a love for twentieth century wristwatches from the most eminent brands like Patek Philippe and Rolex. 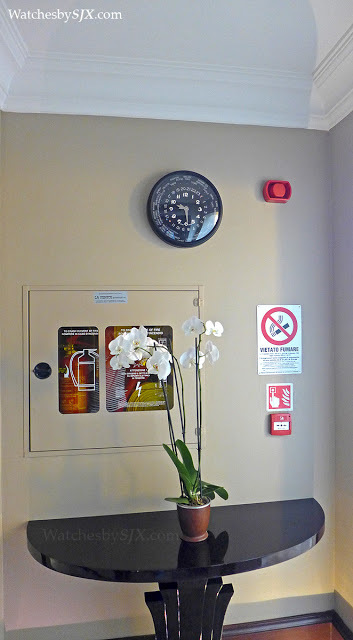 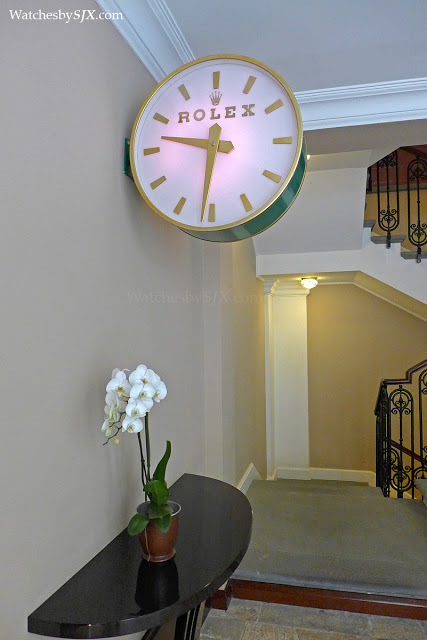 Step into the lobby and the horological theme is immediately apparent. 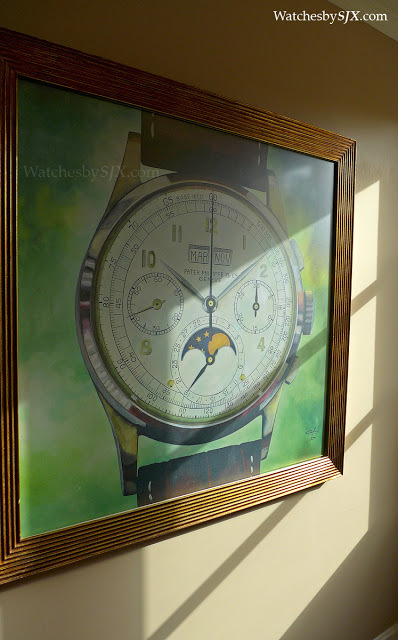 There is an enormous Vacheron Constantin clock on the wall, as well as display cases filled with watch paraphernalia. 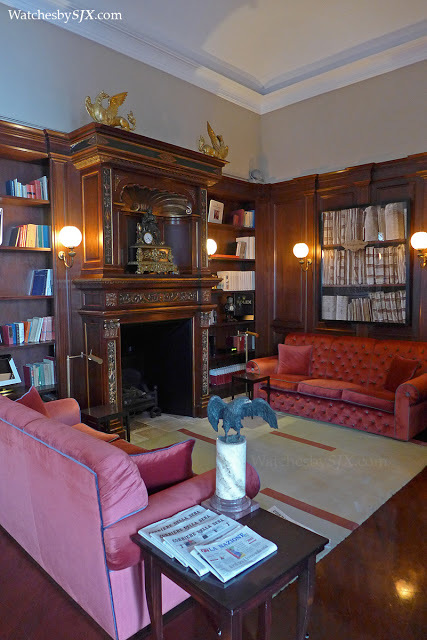 And the bookshelves in the lounge are stocked with what else but watch books and auction catalogues. 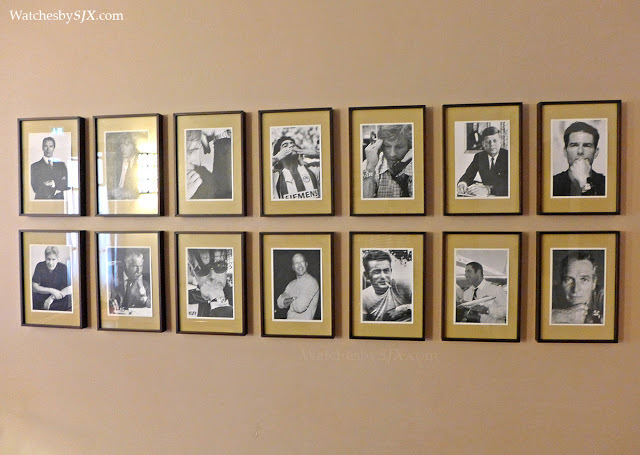 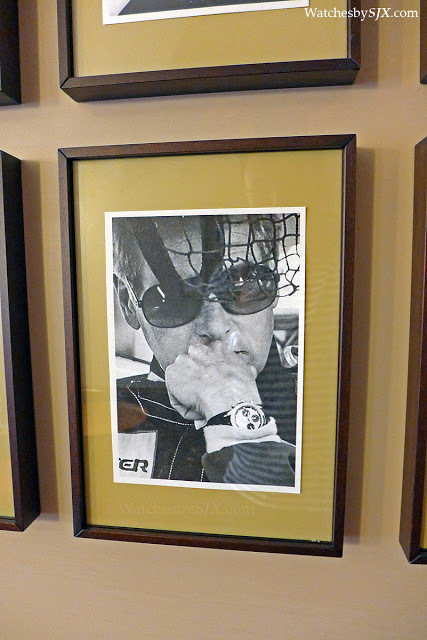 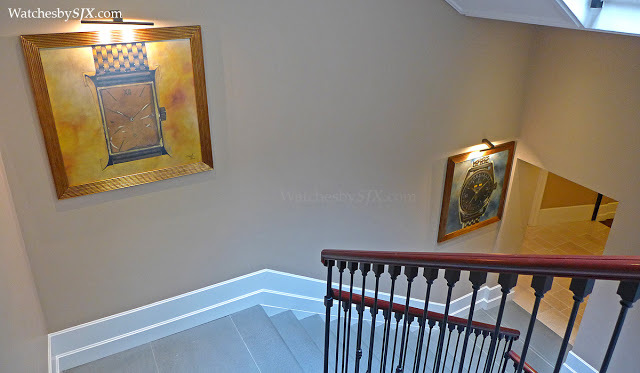 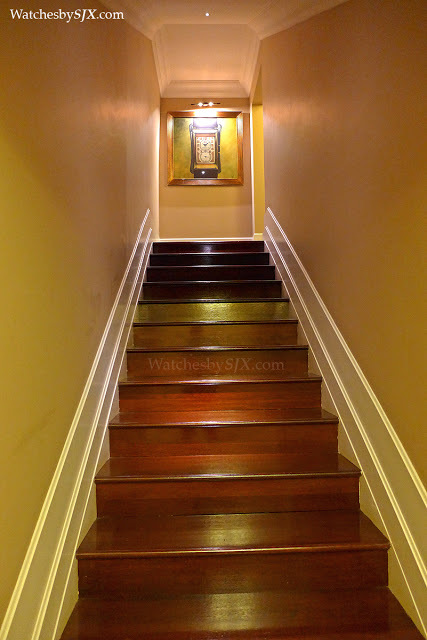 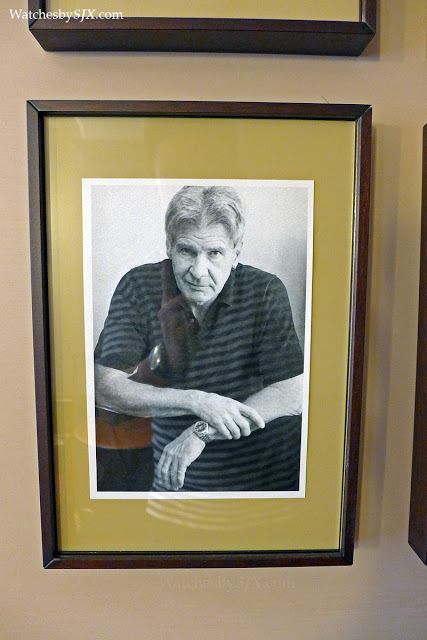 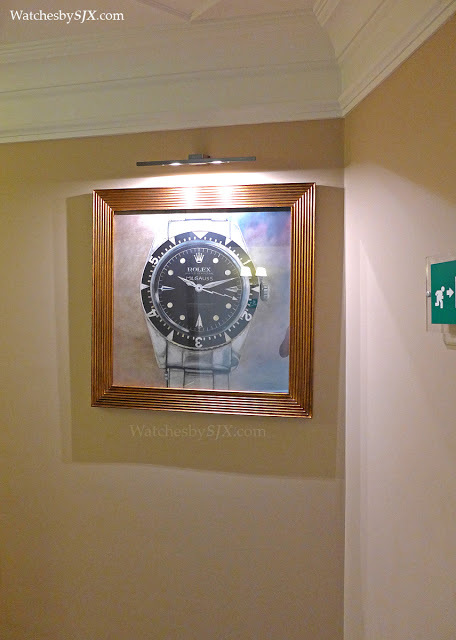 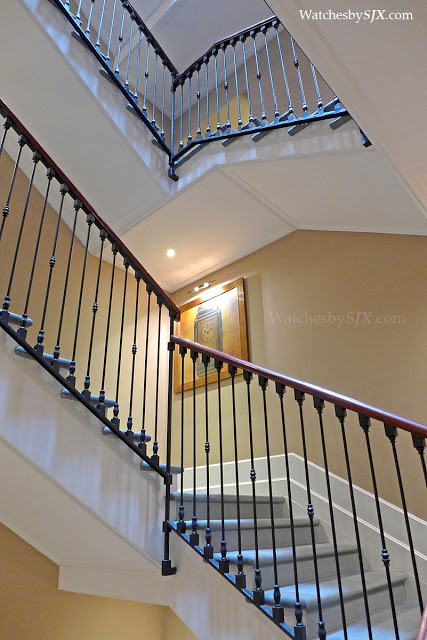 All the walls, even the stairwells, are decorated with watch-related photos and prints, including a room lined with portraits of historical figures and modern day celebrities with their watches, mainly Rolex but with a handful of other makes. 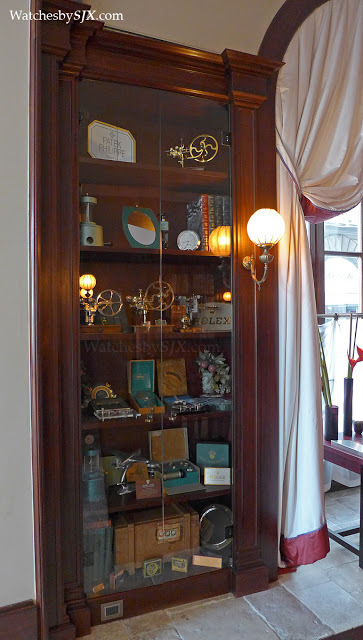 The watch theme is all encompassing and complete. 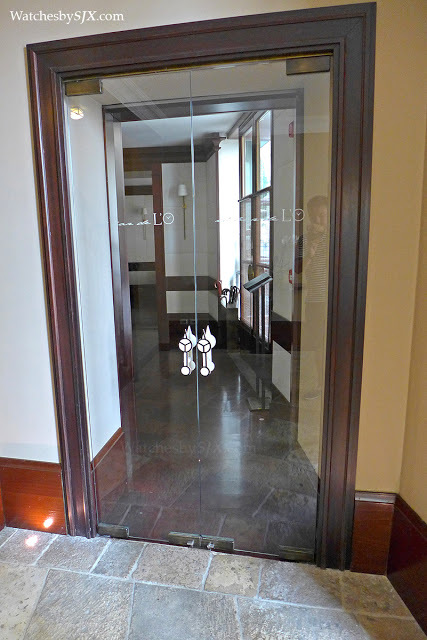 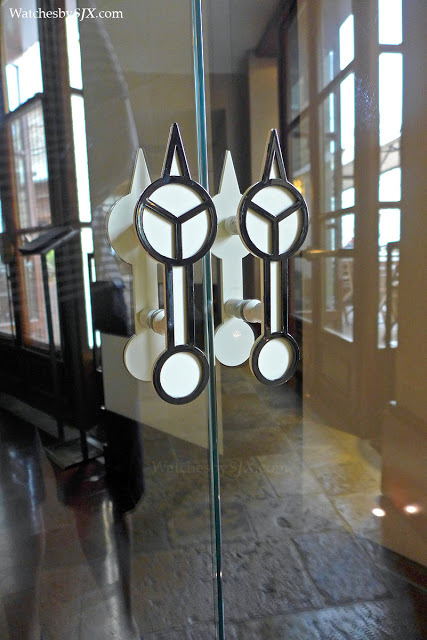 Even the glass doors to the bar have Rolex Explorer II door handles. 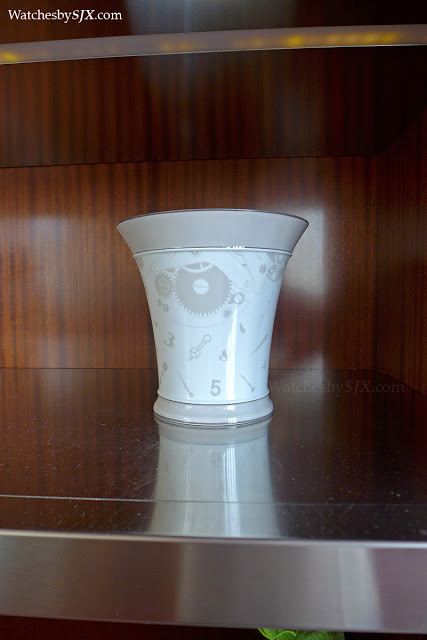 Most of the china in the dining room is likewise watch-themed. 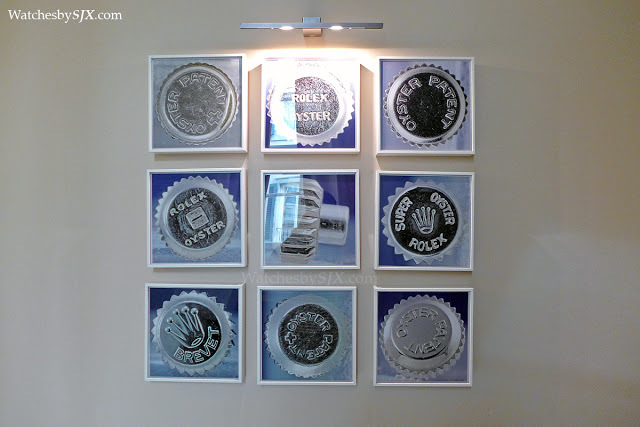 Even the taps in the room bathrooms are shaped like Rolex Oyster screw-down crowns. 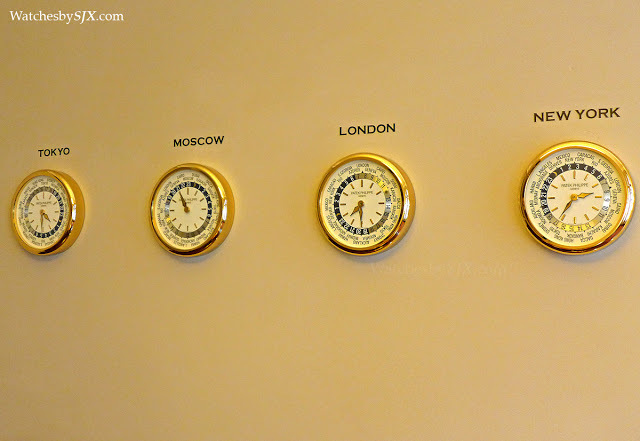 Each floor is dedicated to a particular brand, namely Patek Philippe, Rolex and Vacheron Constantin, which are the owner’s favourites. 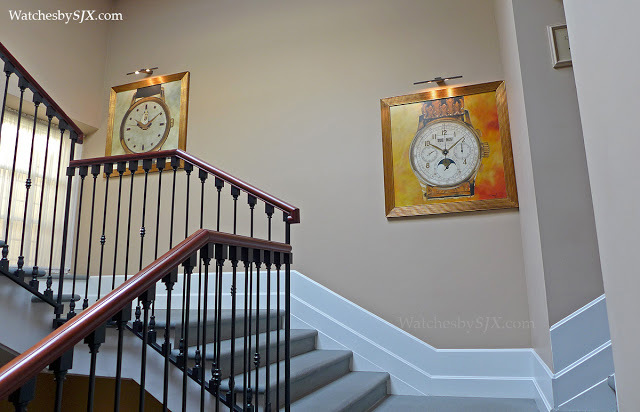 Patek Philippe, however, gets two floors, since it is Patek. 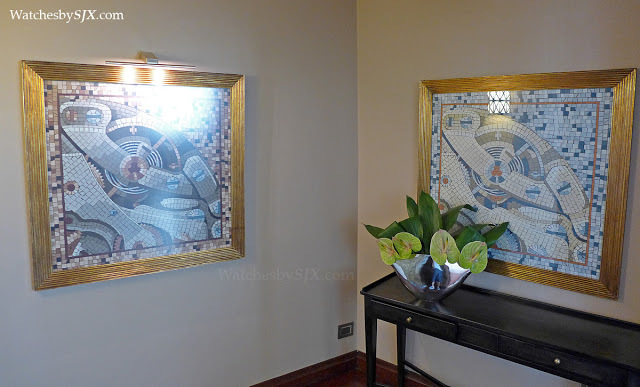 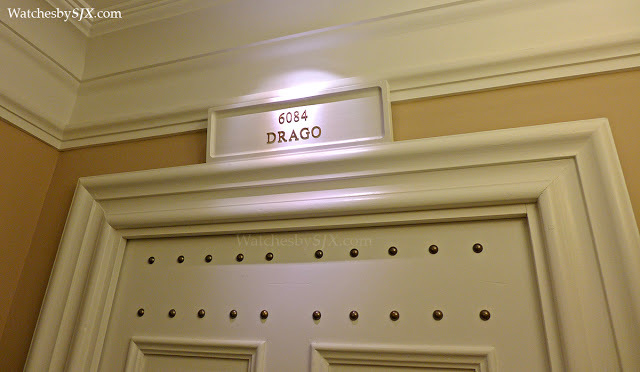 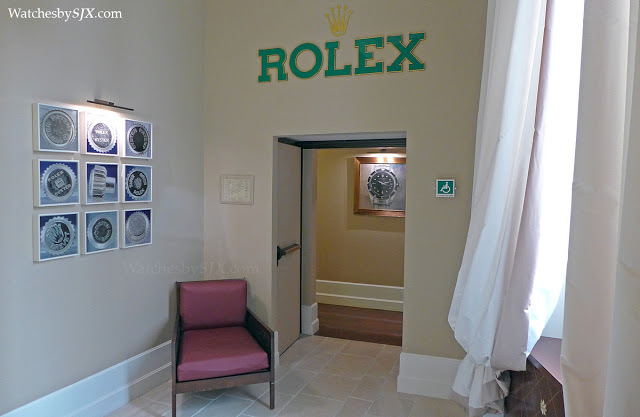 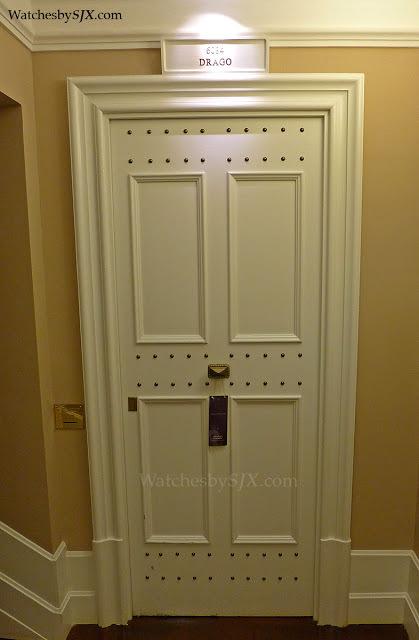 Besides the brand-themed decor on each floor, each of the 54 rooms is named after a notable watch of the brand, for instance room 213 is named after the Rolex ref. 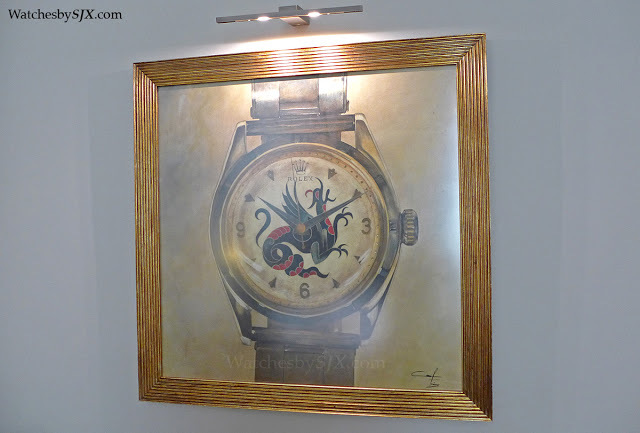 6084 “Drago” with a cloisonné enamel dial depicting a dragon. 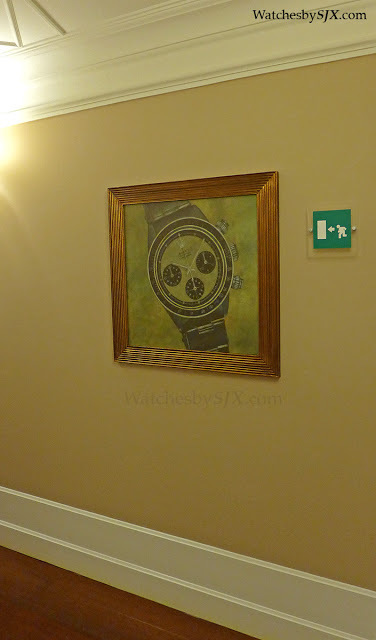 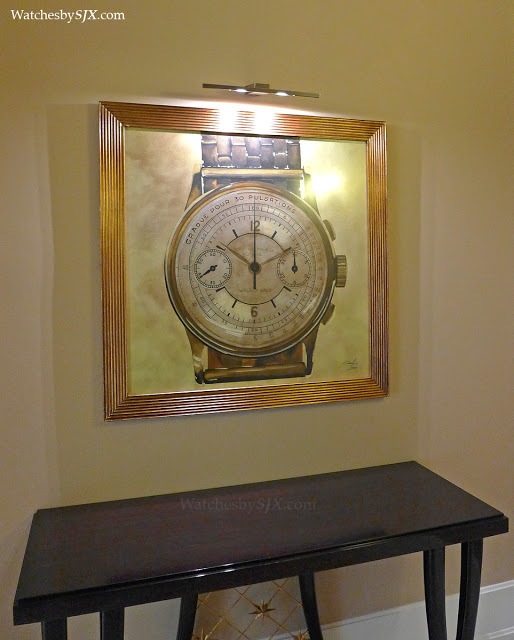 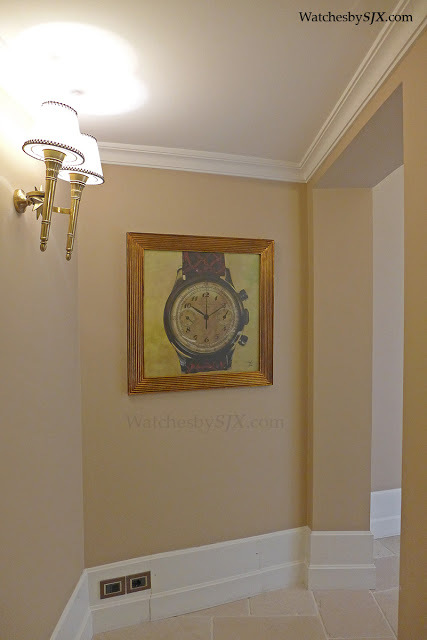 And the interior of each room is decorated with prints of the watch it is named after. 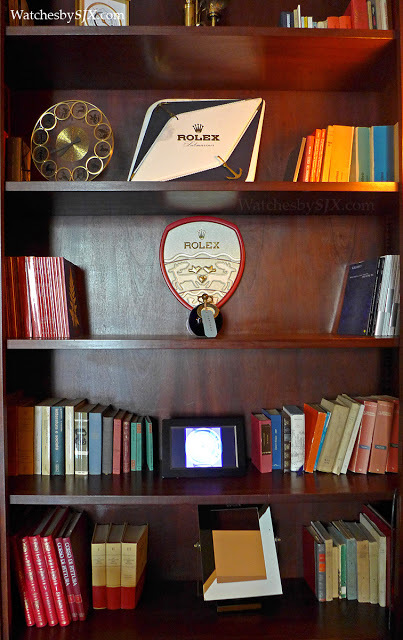 All the major vintage timepieces have their own room. 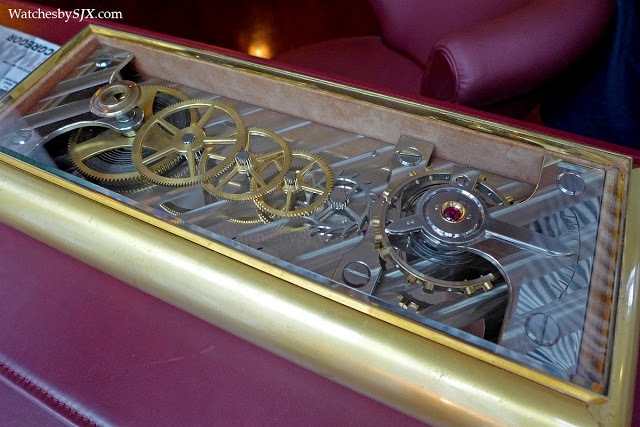 The Vacheron Constantin ref. 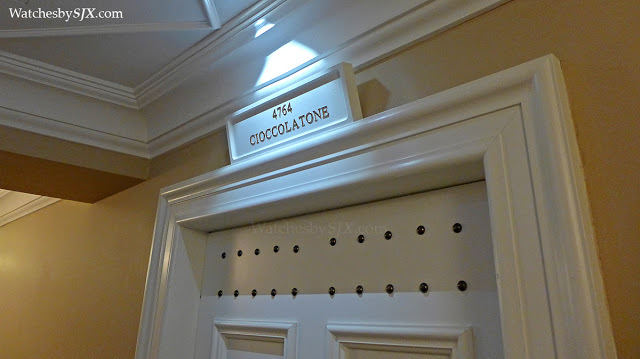 4764 “Cioccolatone” is one example, and of course the Patek Philippe ref. 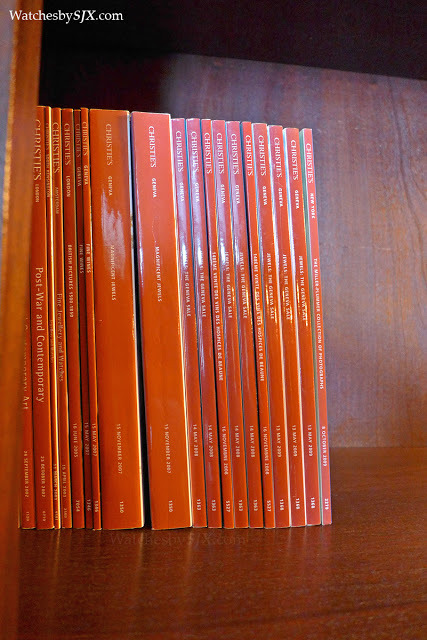 2499.